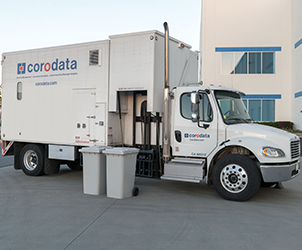 You can count on Corodata’s shredding services to handle the equipment, transportation, and secure destruction of your confidential materials. You’ll not only keep your workplace orderly, you’ll fulfill important compliance obligations—and make your employees happier. 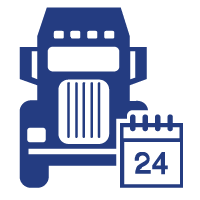 From GPS-tracked vehicles, background checked document destruction specialists, real-time scanners, to NAID, With shredding services from Corodata, your documents are ensured the highest level of security. Shredding services are earmarked with a Certificate of Destruction that reflects the date of the shredding service performed. Get started easily without being locked into a long-term contract. Corodata is confident of earning your ongoing business by delivering exceptional service. Get the personal attention of your local customer service representative, consistent driver, and a dedicated account executive. 100% of paper in consoles is shredded, and recycled. Last year, our clients collectively saved 76,500 trees, 31M gallons of water, and 450,000 cubic yards of landfill space. Use Coroportal to access activities on your schedule. At any time review reports, make a payment instantly, print or email certificates of destruction, and view or request changes to your service schedule. Our law firm had 30 years of paperwork that needed destruction. I picked Corodata because they had great reviews. They were easy to schedule and the driver was the best part. He was organized, friendly, and professional and worked hard. It was one of those hottest days and he never complained. He got everything loaded up quickly and before you knew it, he was gone. Just like my headache. I’ve referred Corodata with confidence. You won’t go wrong.